ONTARIO’S OT LIBRARY: Last week, eCampusOntario announced the launch of a new virtual Open Textbook Library established to offer students a repository of resources which are licensed to be freely used, adapted, and distributed. The library will host 180 faculty reviewed OER, sourced from the BCcampus collection. The Ontario Ministry of Advanced Education and Skills Development also announced $1 million which will be put towards developing new OER. NE OER SUMMIT RECAP: Earlier this week, the University of Massachusetts Amherst hosted the first Northeast Regional OER Summit. The main event brought together over 260 attendees from across the Northeast region (and beyond!) for a day focused on strategies and best practices for implementing OER on campus. Many of these attendees also attended an OER Leadership Day the day before. David Wiley of Lumen Learning and Marilyn Billings of UMass Amherst’s Open Education Initiative keynoted the event. Follow the conversation on Twitter at #NEOERsummit17. SAVINGS AT TCC: Tacoma Community College has officially saved students $2 million since to adoption of their Z-Degree Program in 2011! Congratulations to the team at TCC! OPEN ED ADVISORS: The Open Education team at BCcampus has just announced the addition of two new Open Education Advisers, Lucas Wright and Rajiv Jhangiani! As Open Education Advisors, they will support open education projects, including the new Zed Cred degrees, OER grants, advocate for open education in B.C., and work with all B.C. post-secondary institutions to advance open education initiatives. Congratulations to Lucas and Rajiv! FINALIST ONCE MORE: For the second year in a row, Curriki, has been named a 2017 SIIA CODiE Award finalist in the Digital Aggregation & Sharing Solution category. Curriki which hosts a free library of 265,000+ educator-vetted OER spanning all K-12 subject areas. The SIIA CODiE Awards are the premier awards for the software and information industries. Curriki has been honored as one of 160 finalists across the 34 education technology categories. THANK YOU TJ BLISS: On behalf of the OER Digest team, we would like to take a moment to recognize TJ Bliss who as of yesterday has officially concluded his time at the Hewlett Foundation. 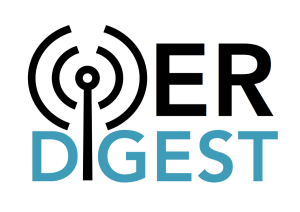 Thank you for your support in making projects like the OER Digest possible, and for your insight shared during your time at Hewlett. We look forward to working with you in your new capacity at the Wiki Education Foundation! EVENT: Cengage will be hosting a webcast entitled the Journey to OER on June 28th at 3 EDT. Click here to register. JOB: Open Up Resources is looking for a new Associate to join their team, based out of New York or Seattle. Click here to view the posting. OPPORTUNITY: The Hewlett Foundation is looking for your feedback on its OER Metrics and Targets. All feedback is welcome here. OPPORTUNITY: The Commonwealth of Learning is looking for your feedback on its Regional Consultations on Open Educational Resources: Stakeholder Survey. Click here to get started. RESOURCE: Recordings of the keynotes from the University System of New Hampshire ATI 2017 have been made available here.